The sad thing is that there are many confused folks out there in our Christian churches who are (assumingly) unwittingly subscribing to Eastern mysticism using the methods spoken of in this particular blog series. This is especially true as Christian lingo has been adopted in describing some of these activities. Do you actually still plays LP’s? I mean do you have a turntable? Ha…that sounds weird….turntable….but i suppose some day people will be laughing at cd’s when music is injected into the brain by laser! The music issue is tough….I found christian contemporary only a couple of years ago. I have everything by Michael W. Smith. But i don’t listen to him anymore because he promotes centering prayer. Now i can hear how hypnotic his songs are. Esp. the worship cd’s. Then i went to Hillsong…i love Hillsongs slower worship songs. But as with secular music i was singing along, bouncing in the car, ( yes, i am 54). You know how you start singing like you are the performer and then start glorifying yourself…? Yes, i know you guys out there do it too……NO? …only i do that? now i am embarrassed. I am getting goofy..sorry. Right now i don’t watch TV, i don’t go to the movies, I have dropped most of my hobbies, and i am not really listening to anything right now. At church we still sing hymns…..so i am trying to be content with that right now. Is it wrong to listen with something with a beat? It really does affect the body. I would like to hear the music that was played in biblical times. I guess if you let the music alter your thinking it is bad. Once i heard someone say if you tap your toe it is okay but if you move your hips it is not. But i think a lot of people are struggling with this. Yes I actually do have a turntable! And, I’m sure that my LPs will outlast my cd collection — assuming I live long enough to witness the gradual physical degradation of the cd disks themselves. While the digital bits should in theory last forever, it’s reported that the storage medium (compact disks) will not. I can say emphatically that music used to be an idol for me; so, it’s an issue I’ve been struggling with for awhile now. It was my chosen form of escapism rather than the more physically destructive chemical or alcohol route. This was all BC; but, after my conversion I still struggled with it. I’m in my mid-40s and have all kinds of music: jazz (all types), pop, alt rock/punk, hard rock, psychedelic, folk, blues, classical — you name it — with a collection in the 1000s. Obviously, some of the lyrics are not right for the Christian; but, again, where does one draw the line? If I know that a particular artist is a practicing Hindu, Buddhist, satanist, etc. and is (or even is not) hostile to the Christian, do I boycott the music even if there’s no lyrics or antichristian notes on the sleeve? With Regards to what was spoken about in the first part of this post. Enlightenment is merely unlocking the full potential of the human mind. To beleive Jesus would be against bettering one self is completely absurd. Meditation is spoken about within the bible. One should not be so judgemental on things they know absolutely nothing about. With regards to buhddist being pagen. The Dahli Lama has won the nobel peace prize numerous times. You worship your king nailed to a cross. Jesus may have died for your sins, but the crucifixion was not ultimately nessasary in order to achieve it. Jesus was a gift for all mankind, not something to be nailed up. His message is what is important. When he rose from the grave, he had defeated death. The rest of the world calls this transcendence. Beleiving different does not make one evil, its only seeing things from a different point of view. Only the devine can judge another religion. Are you God??? Maybe your should open your mind and accept the fact that you dont truly know the truth just as I have. When it comes to matters of the devine we are all in the dark. All beleifs are based on love and compassion for one another. Unity is the goal in mind, not downing one belief just so you feel right. Jesus loved, Buhddah loved, Allah loved. Its about Love, not being right. Love your fellow man, despite his beleif. You have just as great a chance of being right as he does. Meditation is spoken about within the bible. Yes, this is true but the meaning is not same as eastern meditation. To “meditate on the Word of God” is to read and reflect on passages read NOT to repeat passages over and over as in a mantra. There’s a big difference. Only the devine [sic] can judge another religion. According to the gospel of John, Jesus is the Word made flesh; so, the Bible is Jesus. Also, according to the gospel of John, God and Jesus are the same entity (He who has seen me has seen the Father.) So, then given that Jesus IS God and Jesus IS the Word (Bible), then the divine is the Word. The Bible says, “Jesus answered, “I am the way and the truth and the life. No one comes to the Father except through me.”‘ (John 14:6) The bible itself judges all other religions. Unity is the goal in mind, not downing one belief just so you feel right. These are Jesus’ own words. Meditation is in the Bible. But it is not referring to a practice that empties the mind. The Christian is warned not to do this in the Bible. Meditation in the bible is referring to thinking or pondering over its meaning. I am certainly not God, not am i divine. I am a sinner who needs the forgiveness of Jesus Christ who shed His blood for you and for me. I believe this to be the ultimate truth. Lee beat me to John 14:6. As Lee and Kim have mentioned above meditation according to the Bible is waaaayyyy different then the meditation as practiced in eastern meditation. We may not know everything. We don’t claim to. But the Bible is the authority. It is the truth. Jesus is truth. what are you on about? Looks like you don’t even understand Jesus. How can you comments on Yoga. Please read more before misleading people. We have used scripture so as to NOT mislead people. What has been said here that makes you think Jesus is misunderstood? What makes you think yoga is not suited for ALL the christians.. what is a chrisitian, hindu or bhuddhist..
Open your eyes my friend… open your eyes..
Well the Buddhist worships Buddha and the Hindu…they want to unite with the Hindu God Brahman. Christians are told that they cannot worship other Gods. The Bible says that there is no other god than the God of Israel. Yoga has the sun salutation…here is what the Word of God says about this. Here is a warning in Revelation 3. I have opened my eyes and they are fixed on Jesus. Jesus is at the right hand of the Father, and He has promised He is coming again, and many think it will be soon. I want to be ready…and what I am doing in preparation, is Bible study and prayer. I haven’t read all of this thread. So what I am going to say may very well have already been mentioned. 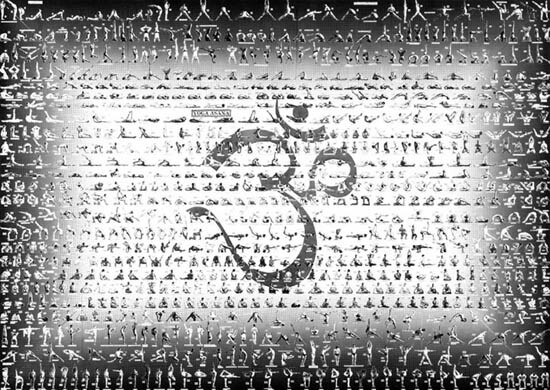 Since the very word yoga means “to yoke” or “to join, one has to wonder what he is being yoked or joined with in doing yoga. God has already told us in His Word, the Bible, how we are to be joined with Him, and it is not through yoga! He also says that to worship Him, we must worship in spirit and in truth. If yoga is not the way He has told us to be joined with Him, and it is not the truth of His Word, how can it be right for a Christian to participate in it? Listening Prayer has found a place in my church! They don’t want to hear the truth. The more I research the deeper into the dark this listening prayer goes. This was very insightful and actually just what I needed. But now knowing these things I have a major concern and I would love to share it with you and maybe you could help shed some light on it. Hi there nice to meet you….Yes please share any concerns you have. Sharing here helps others who also need answers….or you can email me at the contact information.